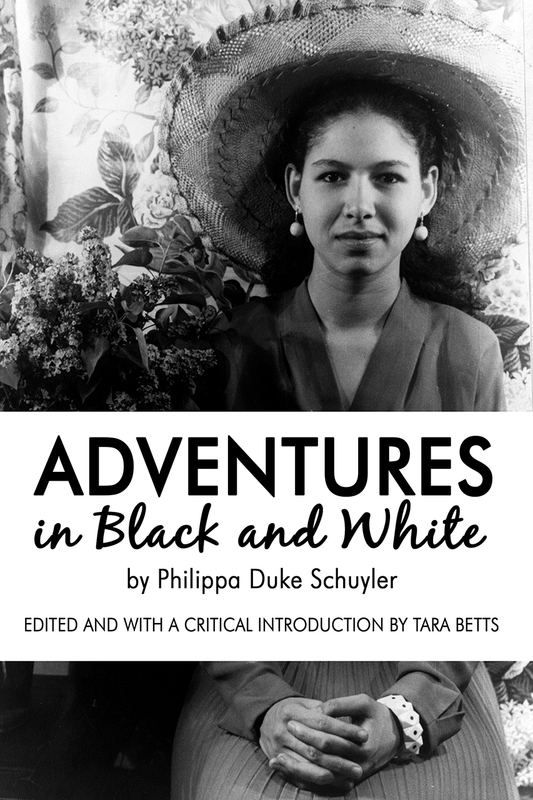 ADVENTURES IN BLACK AND WHITE, a memoir-travelogue first published in 1960, is being reissued with a critical introduction, including minor edits and annotations of the original text by scholar Tara Betts. Recognized as a prodigy at an early age, Philippa Duke Schuyler was heralded as America’s first internationally-acclaimed mixed race celebrity. Her father, a conservative black journalist, and her mother, a white Texan heiress, dedicated Schuyler’s development to the cause of integration with the claim that racial mixing could produce a superior hybrid human, a claim that Schuyler resisted, but would nonetheless hurl her into a destructive identity crisis that consumed her throughout her life. When the transition from child prodigy to concert pianist proved challenging in America, Schuyler, like many black performers before her, went abroad during the 1950s for larger audiences. Schuyler’s witnessing first-hand the dissemblage of European colonies in Africa and the Middle East is the focus of ADVENTURES IN BLACK AND WHITE. This narrative connects the Harlem Renaissance to the prelude of the Civil Rights Movement at a time when the public conversation on interracial identity in America was just beginning. As Schuyler writes about Africa—"the homeland of her ancestors"—readers can begin to understand how the young musician would eventually find her way as an author and a journalist, and the books that followed.